"The biggest aftershock of Trump’s presidency is that millions of regular folks have woken up"
Let's open another early Christmas gift. It has been said that Donald Trump takes orders from no one, but seeks input from all, even his enemies, and I believe that’s true. The game of politics eludes him, and he seldom follows the party line. But like the indomitable commander of the Third Army in Europe during World War II, Gen. George Patton, Trump believes he has a destiny. He feels he has a duty to rebuild the confidence of the American people and restore the foundations of our way of life. Trump has more accomplishments at this point in his presidency than any president in history. What makes the list even more amazing is that he has done it with the media, at least half the United States Congress and legions of left-wing celebrities trashing every move he makes. The president has kept his promises on issue after issue. Even his most ardent supporters have been surprised by how many of the goals he outlined at the start of his campaign have already been accomplished. He is keeping the faith, and on those such as immigration and the border wall where the resistance is strongest, he has been relentless — and he isn’t stopping. Read it all @ TRUMP WINS FOR U.S. The Cross Hall. Christmas has arrived at the White House. 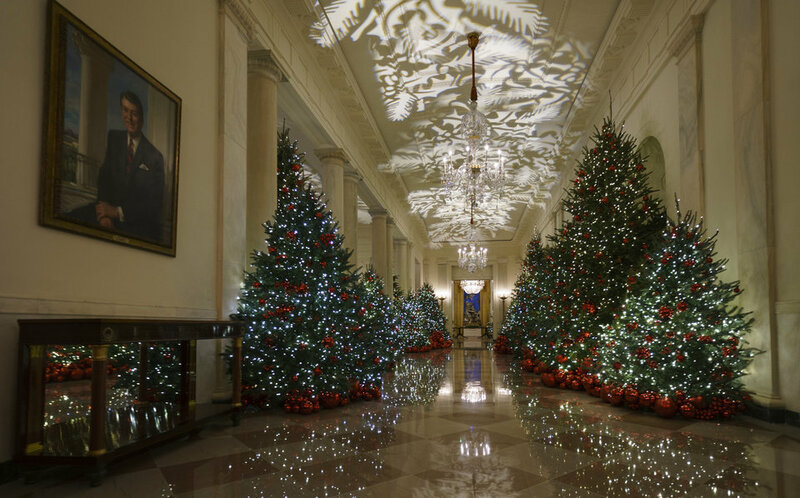 First lady Melania Trump unveiled the 2018 White House holiday decor on Monday. She designed the decor, which features a theme of "American Treasures."